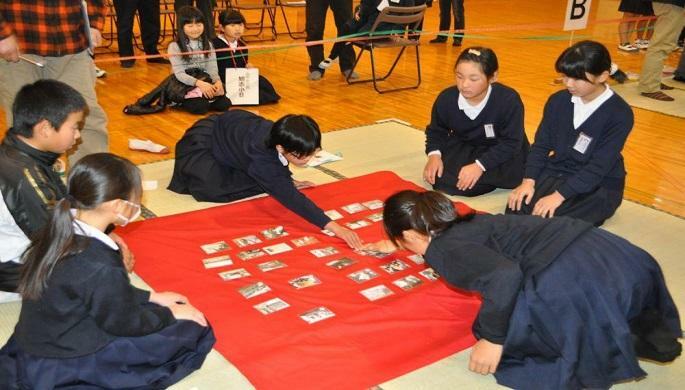 Karuta is one of the Japanese traditional games. First,a person read the card. And the others look for a card which is the picture and word drawn about it. How many cards can you find? The winner is having the cards most. Who didn`t know japanese, can play in group, where nobody didn`t know japanese.